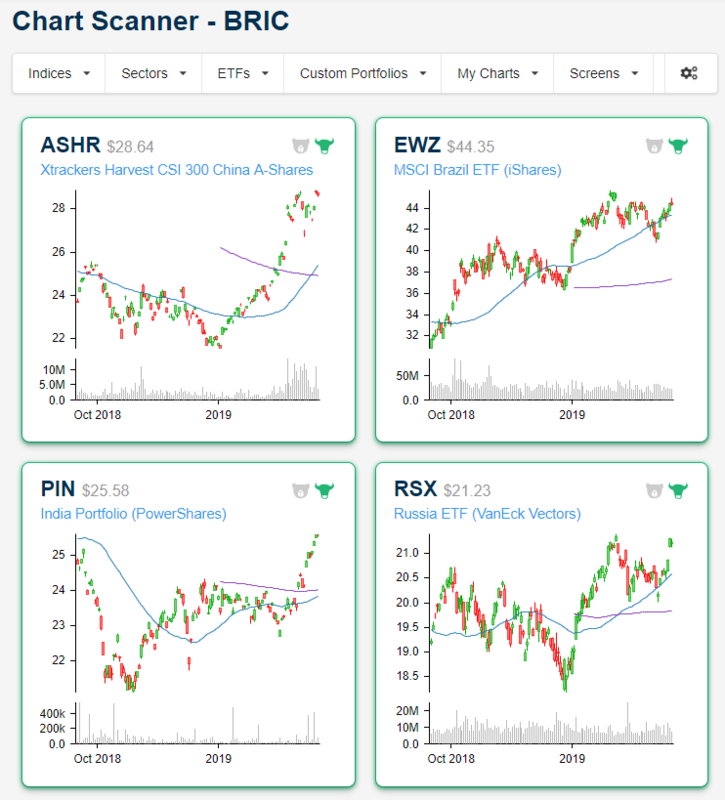 Below is a snapshot of the four BRIC country ETFs from our Chart Scanner tool that’s available to Bespoke Premium and Bespoke Institutional members. As you can see, all four countries have been trending higher this year, with China (ASHR) and India (PIN) experiencing the sharpest moves. Both are currently very extended above their moving averages, and investors will be watching whether they can hold above support within their long-term uptrend channels when the inevitable mean reversion occurs. Brazil (EWZ) is also in a nice long-term uptrend with a series of higher highs and higher lows being made over the last six months. EWZ is not nearly as extended to the upside as ASHR or PIN, so for someone looking to enter into these markets, Brazil looks more attractive right now. Russia (RSX) struggled a bit in early March, but it has seen a huge gain over the last few trading days to put it back up near six-month highs.